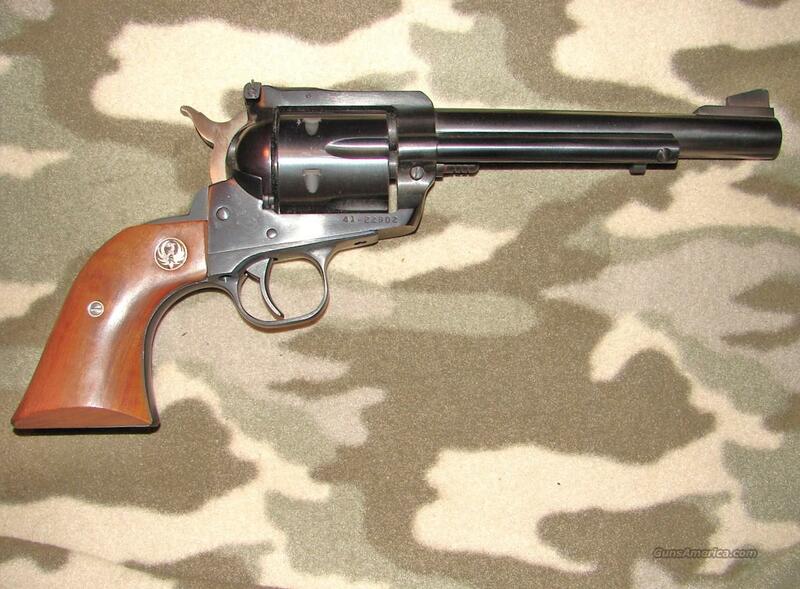 Description: Ruger New Model Blackhawk SA Revolver, serial #41 22902, .41 Mag. 6 ½” barrel, excellent bore. As new condition New Model Blackhawk with original box and papers. Blued with smooth walnut grips and adjustable rear sight. With transfer bar safety.